In a Decision, Order and Judgment dated May 13, 2014, the New York County Supreme Court granted MBKK’s Article 75 petition to confirm an arbitration award issued to its client, and denied the respondent’s cross-petition to vacate that award. United States Federation of Small Businesses, Inc. v. Emblem Health Services Co., LLC, No. 650074/14 (N.Y. Sup. Ct., N.Y. Co.). in particular, the Court agreed with MBKK that the Firm’s client was entitled to confirmation of its seven-figure arbitration award, and rejected the respondent’s claims that the arbitrator exceeded his authority and that the award violated public policy, should be vacated on statute of limitation grounds, and purportedly was totally irrational. After analyzing the applicable law, the Court held that the respondent failed to substantiate its claims and confirmed the arbitration award in full. In June 2015, the New York Supreme Court granted MBKK's motion to dismiss an insured’s coverage action, declaring that the Firm’s insurance client was not obligated to defend or indemnify a heating and cooling company with respect to two underlying actions seeking damages for extensive petroleum contamination at a residence resulting from a furnace explosion. Wilson Bros. Heating & Cooling, Inc. v. Hartford Fire Ins. Co., No. 5096-14 (N.Y. Sup. Ct., Albany Co., June 16, 2015). The insured had argued that its insurance policies provided coverage insofar as the underlying claims at issue included allegations of negligence and breach of contract relating to the improper rendition of services. Nevertheless, the court agreed with MBKK that all of the allegations of wrongdoing against the insured arose out of its response to the petroleum contamination and thus fell wholly within the plain language of the pollution exclusions contained in the policies. On September 5, 2013, the United States Court of Appeals for the Second Circuit affirmed the district court’s grant of summary judgment in favor of Hartford Accident and Indemnity Company (“Hartford”) and two other liability insurers. Emerson Enterprises, LLC v. Hartford Accident and Indemnity Co., et al., No. 12-4287-CV, 2013 WL 4753564 (2d Cir. Sept. 5, 2013). Menz Bonner Komar & Koenigsberg LLP, appearing on behalf of its client Hartford, argued that Hartford had no duty to defend a putative insured against environmental contamination claims arising out of the 40-year practice of intentionally dumping hazardous waste into a “dry well” located on the plaintiff/appellant’s property. The putative insured maintained that it was entitled to coverage under the Hartford policies because various discharges of pollutants at the site were both “sudden” and “accidental,” thereby coming within an exception to the pollution exclusions in Hartford’s policies. Emerson, 2013 WL 4753564 at *1. Amongst other things, plaintiff/appellant argued that, notwithstanding the fact pollutants were intentionally dumped into a dry well in the first instance, there were subsequent “secondary discharges” due to unforeseen rainwater overflows which were both sudden and accidental. Id. The Court rejected this argument, holding as a matter of law that “the unintended consequences of intentional discharges are not ‘accidental.’” Id. in addition, the Second Circuit rejected plaintiff/appellant’s contention that “sudden and accidental” discharges resulted from the alleged practice of workers carrying punctured drums outside, holding that “leakage resulting from the placement on the ground of drums known to be punctured would not be ‘accidental.’” Id. On May 16, 2012, United States District Judge Robert Sweet of the Southern District of New York granted the motion filed by partners Patrick Bonner and Michael Komar of Menz Bonner Komar & Koenigsberg LLP to dismiss a lawsuit brought against Belgian and Dutch companies. The lawsuit asserted a claim for breach of contract concerning an alleged letter agreement among the parties. The letter agreement was negotiated and signed in Europe, but the lawsuit was filed in New York state. Judge Sweet accepted and agreed with the firm's arguments that there were insufficient contacts with New York to justify maintaining the lawsuit in the New York courts. The court held that continuing the lawsuit against the Firm's clients would violate due process and offend "traditional notions of fair play and substantial justice. On January 13, 2011, the New Jersey Superior Court adopted the recommendation of the Special Discovery Master to impose sanctions upon the plaintiff in an environmental coverage suit pursuant to New Jersey Court Rule 4:32-2. Menz Bonner & Komar LLP, acting on behalf of its clients First State Insurance Company, New England Insurance Company and Twin City Fire Insurance Company, moved for a dismissal of the plaintiff's complaint and for sanctions resulting from alleged discovery violations stemming from two prior court orders endorsing previous recommendations set forth by the Special Discovery Master regarding the production of discovery. Sanctions were recommended by the Special Discovery Master based on the attorney's fees incurred by the Defendants to (1) conduct a document review in Virginia at the Plaintiff's facilities; (2) prepare the motion for dismissal and sanctions; and (3) attend the hearing on the motion. Plaintiff argued that it was in compliance with the court's order when it permitted counsel for the defendants to visit its Virginia facilities for a review of its documents. However, the Special Discovery Master found that the plaintiff failed to comply with the court order in good faith because "[a]bsolutely no effort was taken by plaintiff to organize and present the relevant documents for review in a safe and sanitary environment." Plaintiff's counsel blamed plaintiff's failures to comply with the prior court orders on internal problems with the firm that previously handled the case for the plaintiff, as well as conflicts between inside and outside counsel for plaintiff over how the case should be handled. The Special Discovery Master stated that it made no difference who was to blame for conduct that amounted to stonewalling the defendants' legitimate discovery needs and court orders that required compliance, and as such, sanctions against the plaintiff were warranted. On September 21, 2010, a New Jersey Superior Court granted a motion for summary judgment filed by Menz Bonner & Komar LLP on behalf of its client, defendant Hartford Accident and Indemnity Company, based on a qualified pollution exclusion contained in an insurance policy Hartford issued to the plaintiff. in the Superior Court action, plaintiff claimed that Hartford was obligated to indemnify it for costs incurred in connection with the investigation and remediation of contamination at plaintiff's manufacturing facility located in Massachusetts. The umbrella policy at issue contained an exclusion for "loss or liability arising out of contamination or pollution, except insofar as coverage was available in the underlying insurance policy." The underlying policy contained a qualified pollution exclusion which precluded coverage for property damage arising out of the discharge or release of waste material, pollutants or contaminants unless such discharge was both "sudden and accidental." The Court agreed with Menz Bonner & Komar that because the contamination of soil and groundwater at plaintiff's manufacturing facility was caused gradually over time by virtue of plaintiff's ordinary and routine business practices, rather than as a result of "sudden and accidental" events, under Massachusetts law, Plaintiff's claim was not covered by Hartford's umbrella policy. On July 31, 2009, a panel of New Jersey's Appellate Division affirmed an order of the Superior Court that granted Menz Bonner & Komar LLP's motion on behalf of Hartford Insurance Group. The trial court had held that an amendment to New Jersey's Uninsured Motorist Law was not retroactive. The plaintiff, who was injured in an automobile accident, had sued to recover under a policy issued by Hartford that provided coverage where a driver is uninsured or underinsured. Hartford's $1 million policy included what is known as a "step down" clause that limited the amount recoverable to the highest amount available under any policy that the injured person maintained individually. After the suit was filed, New Jersey amended its insurance laws to preclude the use of a "step down" clause such as the one that appeared in the Hartford policy. Menz Bonner & Komar LLP moved to dismiss the case in the Superior Court on the basis that the law's amendment was not retroactive as to the Hartford policy. After the trial court ruled that the law was not retroactive, the plaintiff appealed, but the Appellate Division agreed with the trial court that the law should not apply retroactively and dismissed the case. Second Circuit Court of Appeals Grants Menz Bonner & Komar LLP's Motion to Dismiss Appeal by Citibank, N.A. 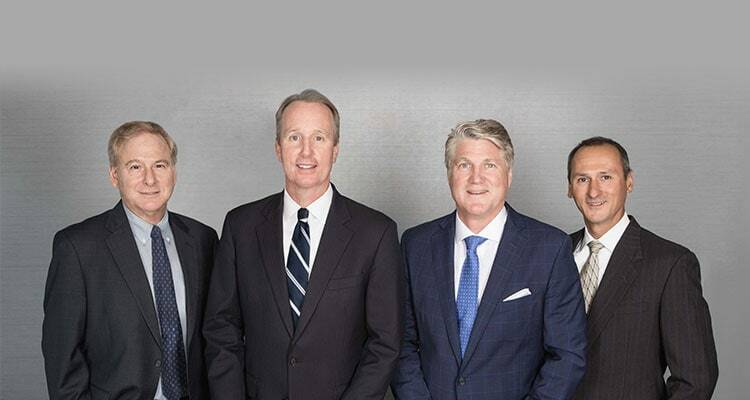 On June 18, 2009, a panel of the Second Circuit United States Court of Appeals granted the motion filed by Menz Bonner & Komar LLP on behalf of its client Aurelius Capital Partners LP to dismiss the appeal of Citibank, N.A. from an order of the United States District Court for the Southern District of New York compelling Citibank to produce documents in a case brought by Aurelius Capital Partners LP against the Republic of Argentina. The Second Circuit upheld the arguments advanced by Menz Bonner & Komar LLP that there was no subject matter jurisdiction for the appeal because a final order had not been entered by the District Court. Further, the court declined to exercise pendent appellate jurisdiction because the issues raised by Citibank, N.A. were not related to the issues raised in a prior appeal by the firm's client that was pending at the time Citibank filed its appeal. On March 20, 2009, the New Jersey Superior Court granted the motion for summary judgment filed by Menz Bonner & Komar LLP on behalf of Defendant Hartford Accident and Indemnity Company in an insurance declaratory judgment action seeking coverage for underlying asbestos personal injury claims brought against a plumbing supply distributor. The plaintiff, Sussex County Plumbing, alleged that it qualified as an insured under an Owners, Landlords and Tenants liability policy issued to the spouses of former principals of the plumbing supply company, claiming that the spouses had a legal interest in the family plumbing business and that the location of business operation was one of the scheduled premises. The court rejected Sussex's arguments and agreed with Menz Bonner & Komar's position that the Hartford policy was unambiguous and Sussex did not qualify as a "named insured" or "insured" thereunder. On November 2, 2006, a NASD Arbitration Panel sitting in Boca Raton, Florida, at the close of the claimant's case in a securities arbitration proceeding, granted the Motion to Dismiss made by Menz Bonner & Komar LLP on behalf of ABN AMRO Incorporated. The Claimant, Atlantic Custodians, S.A., had asserted that ABN AMRO had breached a contract and/or negligently settled a stock transfer transaction on the Hong Kong stock exchange. The Motion to Dismiss was made after the claimant had presented its case, consisting of documents and live witnesses, who were vigorously cross-examined by Patrick Bonner and David Koenigsberg. Menz Bonner & Komar argued that Atlantic Custodians had no standing to bring the claim; that a purported assignment of claims was not valid; the contract conferred no rights on claimant nor was claimant a third-party beneficiary of the contract; and that ABN AMRO owed no duty to the claimant. Following oral argument on the Motion to Dismiss, the panel unanimously granted the motion and dismissed the claim. On November 1, 2005, Judge Eduardo Robreno of the United States District Court for the Eastern District of Pennsylvania issued a Memorandum and Order granting Menz Bonner & Komar's motion to dismiss its client, Hartford Accident and Indemnity Company, from a major insurance declaratory judgment action brought by Henkel Corporation against Hartford and another insurer. The plaintiff's complaint alleged that Hartford breached its duty to defend and indemnify its insured and acted in bad faith by failing to provide coverage for numerous asbestos personal injury suits filed around the country. The complaint sought monetary and punitive damages, attorneys' fees, and declaratory relief requiring Hartford to honor its purported present and future coverage obligations to Henkel. in its decision, the Federal District Court agreed with Hartford that it had no duty to defend underlying claims brought against non-insured entities. The court rejected Henkel's efforts to improperly expand Hartford's contractual obligations based on the assertion that extrinsic evidence would demonstrate that underlying plaintiffs had erroneously sued the wrong company. in particular, the Court credited Menz Bonner & Komar's "refreshingly simple" argument concerning fundamental issues of contract interpretation and agreed with Attorney Komar's statement that Henkel's argument concerning the "four corners rule" was really a "red-herring" that could not alter the scope of Hartford's obligation to defend only those lawsuits brought against persons or entities actually insured under its policies. On September 22, 2005, Judge Linda S. Jamieson of the New York Supreme Court in Westchester County issued a defense verdict in favor of the Firm's client, a Westchester-based manufacturing company, in an action alleging wrongful termination under section 740 of the New York State Labor Law, known as the "Whistleblower Statute." in the action, the plaintiff, who had worked for the company for over thirty years, claimed that he had been terminated for allegedly threatening to report purported health and safety violations to his superiors prior to his termination. During a two-week bench trial, at which over twenty witnesses testified, trial lawyers Patrick Bonner and David Koenigsberg persuaded the Court that the plaintiff's termination was lawful and unrelated to any purported exercise of rights under the Labor Law. in rendering its verdict, the Court found that there was no causal connection between the plaintiff's alleged threat to blow the whistle and the company's termination of his employment for a separate and legitimate purpose. In an action in the United States District Court for the Southern District of New York, the litigators at Menz Bonner & Komar successfully won the dismissal of a proceeding brought to compel arbitration of a complex reinsurance dispute. The action involved a dispute that originally had been brought in the Supreme Court of the State of New York in Manhattan over monies allegedly owed pursuant to an automobile warranty program. The Firm successfully removed the matter to federal court and then filed a motion to dismiss on the grounds that the dispute at issue was not within the scope of the applicable arbitration provision. The Firm also moved to dismiss on jurisdictional grounds on behalf of certain of their clients. On April 10, 2004, the Honorable Laura Taylor Swain granted the motion to dismiss filed by the Firm, which resulted in a complete victory for the Firm's clients. The appellate litigators at Menz Bonner & Komar were victorious in representing their client, a New York-based manufacturing company, in defeating an appeal to the Appellate Division, Second Department of the New York State Supreme Court. The trial court had dismissed numerous claims against the Firm's clients, including battery, intentional infliction of emotional distress and alleged insurance fraud. On appeal, the Appellate Division affirmed the dismissal of all the claims, having been persuaded by the Firm's attorneys that the lower court had properly granted their motion to dismiss an amended complaint after a previous motion to dismiss the complaint had been denied. Shortly after the founding of the Firm, Menz Bonner & Komar LLP took on the representation of the widow and minor children of a courageous New York City firefighter who died saving lives on September 11, 2001. The lawyers at the Firm worked diligently to come up with creative arguments that would secure the highest possible award on behalf of their clients from the U.S. Federal Victim's Compensation Fund, which was established by Congress after September 11 to aid the victims of the 9/11 tragedy. The Firm filed a comprehensive application with the Fund in support of their arguments and, after several meetings with Special Master Kenneth Feinberg, received a presumed award amount that was not satisfactory to the Firm. The lawyers at Menz Bonner & Komar then filed an appeal of that determination and as a result were able to secure an award on behalf of their clients far in excess of the original presumed award amount issued by the Fund.